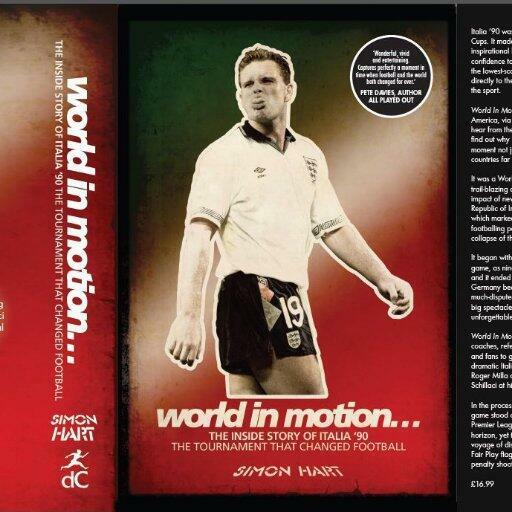 Gareth Roberts speaks to author and journalist Simon Hart about his newly-released book World In Motion: The Inside Story Of Italia 90. Simon talks about the tournament and the many stories that emerged from it ­ – from the shock performances of Costa Rica and Cameroon to the progress of Ireland and England to Toto Schillaci and Roger Milla. He also gets into some of the lesser-known stories in the book, the process of writing it, which took over 12 months and involved visiting 10 countries, and the impact of the tournament on modern-day football. The book is out now, published by deCourbertin Books.